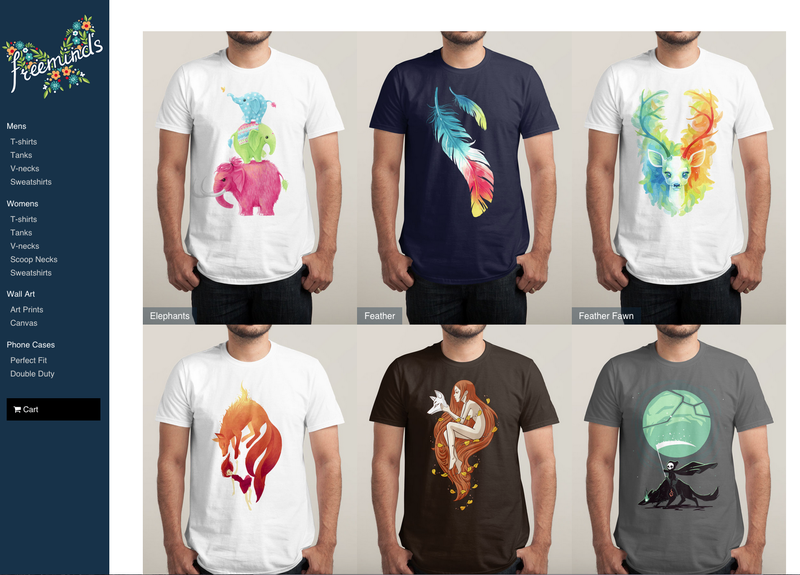 The Threadless design community, which helps artists share and market their designs, has launched Artist Shops, a free platform that lets visual artists create their own customized online stores. The platform aims to make eCommerce less intimidating for people who lack sales or business experience. Users control everything from the appearance and presentation of their store to the pricing of items. Threadless manages the back-end manufacturing and logistics. Artists can get started creating a store with a threadless.com subdomain or create a personalized custom domain. A variety of customizable themes are available, or you can use your own design to create a unique storefront. A few select shops are fully up and running and available for customers to make purchases. Currently, 11 shops are live and ready to take orders, with more artists being invited every week leading up to the public launch. Right now, designers can register their site, but only a few get full early access. Artist Shops will be available to everyone in the next few months, but users don’t have to wait to start working on their store plans. Over 9,000 designers are already registered for the platform, the company said. There are advantages in early registration. Registered users could be featured among stores leading up to the public launch. And Artist Shops will match the first $1,000 in sales for all artists who reserve their store name prior to the launch.